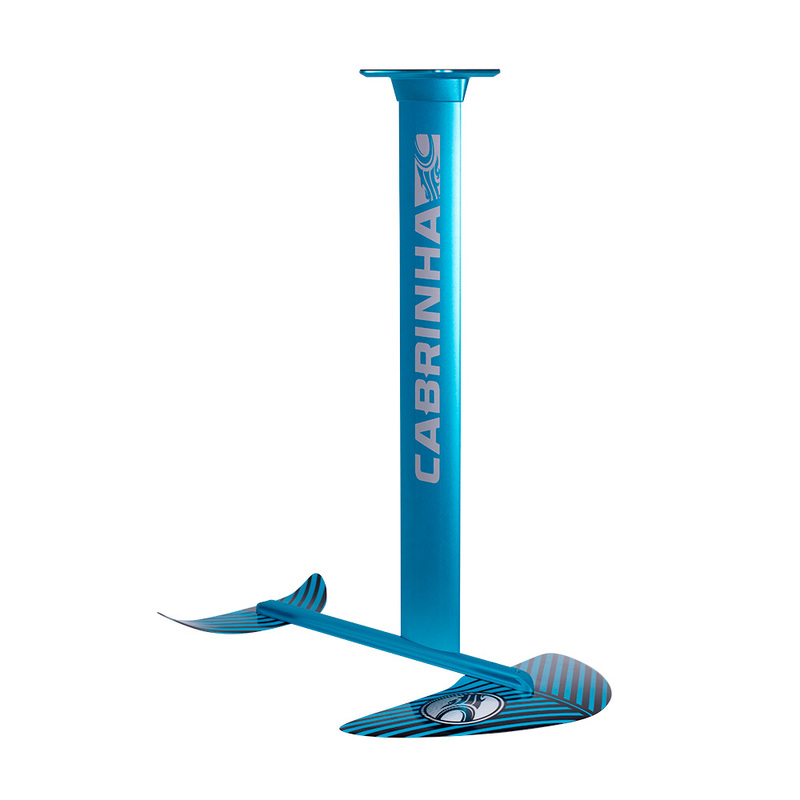 40cm - Ideally suited for shallow water and riders seeking a confidence inspiring entry into foil boarding. 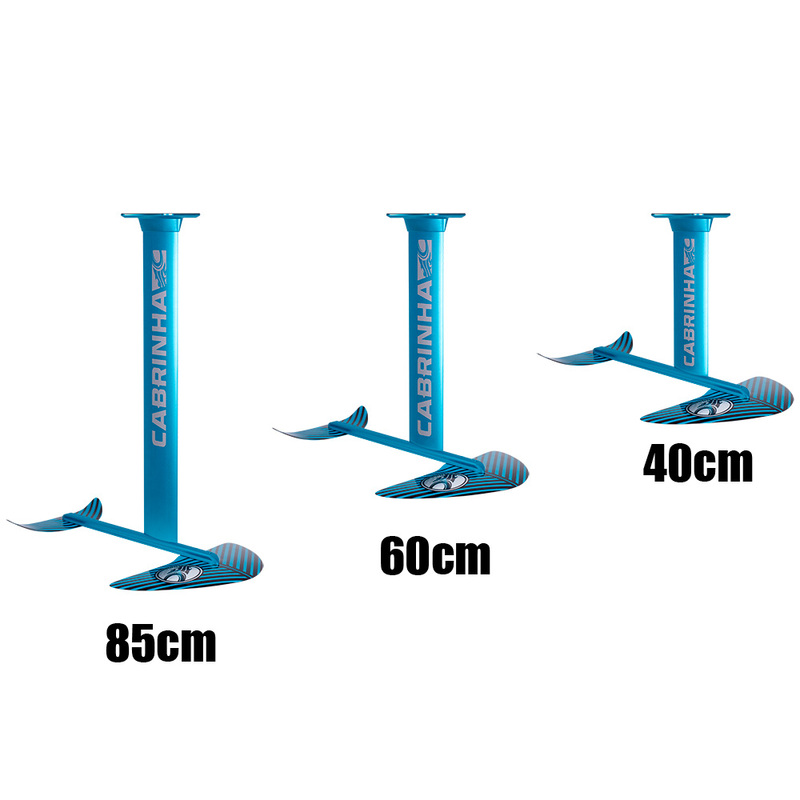 60cm - A great option for progressing riders that want a stable and user friendly ride while still offering portability and durability in a solid all-around length. 85cm - An extremely smooth and stable ride in everything from flat water to the largest choppy conditions. The longer length increases the upwind ability of the kite to maximize potential of the ride in all conditions. *If the shaft size you want is out of stock, contact us and we can modify so that you can order with whatever size shaft you need. WOW! I watched everyone struggle to learn to foil, well I did it in a day. I still go back and ride the short mast some times when we go to the sandbar. It's super light with the short mast so it's easier to do back rolls. This is the best beginner/intermediate kite foil on the market. The delta wing shape of the front wing makes it extremely user-friendly and surfy feeling. Now that the 40 cm and 60 cm short shafts are available this is the perfect all around setup. With the 40 cm shaft it rides almost identical to a regular board which makes it is much safer for the rider during the learning process. Once you are experienced on the 40 cm you can go upwind better than any other traditional kiteboard and still have a fun session with this really short shaft. I was amazed how surfy it was. It is also great for onshore riding because you have much less chance of hitting the ground. The 60cm is also nice to have to complete the training process, at first you tend to go all the way to the top and drop and the shorter masks make your drop a lot shorter. This foil rides great and has great durability, I would highly recommend it!